Every September California goes all out with celebrating California Wine Month with different wine regions of California offering passports to their local wineries (Temecula, Lodi, etc) to a big celebration at the end of the month called SAVOR, a central California coast wine celebration. California Wines Road Trip Event, San Francisco: Stop on in September 21st as San Francisco celebrates California Wine Month. Join in at the Ferry Building as you’re able to taste over a 100 California Wines in one setting. Hotel Valencia Santana Row, San Jose: If you’re looking for an unique view. For 15,000, you and 5 of your friends can hop a helicopter and cruise above the wineries of the Santa Cruz Valley. A 6 course meal, wine and cheese .presentation, and wine flight are included. Hurley’s Restaurant/One Acre Winery, Napa Valley: Always wanted to work in a vineyard? With the “Vine Wine Dine” (138) package you actually can while learning what happens to the grapes before and after picking. After work, head to Hurley’s Restaurant for an experience with Chef Bob Hurley followed by a wine paired lunch. Incredible Adventures Tours, Napa Valley and Sonoma County: Save 10 percent during California Wine Month on various tours including: Muir Woods/Wine Combo, where guests can see the giant redwoods and taste at 3-4 Sonoma wineries (regular price $99); Wine Education Tour, where guests can visit four to six wineries including a tram tour and wine caves (Regular price $109) and Woods/Wine Overnight where guests can sample the best of both tours and stay overnight in wine country (Regular price $290. Use booking code “CAWINE” (enter during checkout). Kenwood Inn and Spa, Sonoma County: The “Celebrate California Wine Month Kenwood Style” package starts at $899 and includes a two-night stay, seasonal, three-course tasting dinner for two at The Restaurant at Kenwood Inn, picnic lunch for two from Chef Steven Snook, and a half-day exclusive food and wine excursion for two. Safari West, Sonoma County: Celebrate California Wine Month with the “Wild Nights in Wine Country” accommodations and tour package, starting at $458 per person (20 percent off regular price). This unique glamping experience includes one night in a safari luxury tent and a Winos and Rhinos tour for two of this renowned African-style wildlife preserve. The tour includes a beautiful hilltop tasting of Sonoma and Napa county wines. The tour is also offered privately for groups of up to ten people ($750). Toll House, Los Gatos: The “Sips & Saddles” package starts at $415 per night and includes one night’s accommodation, a five-flight wine tasting and a scenic 90-minute horseback ride at Cooper-Garrod Estate Vineyards and the Fremont Older Mid-Peninsula Open Space Preserve on the eastern slopes of the Santa Cruz Mountains facing San Jose. Wydown Hotel, St. Helena: The “Soaring Over California Package” starts at $424 per person (double occupancy) and includes a one night stay, sunrise hot air balloon flight over Napa Valley including transportation, pre-flight coffee and pastries at Calistoga Depot and champagne breakfast at Michelin-starred Solbar at Solage Calistoga. “The Royal Treatment” optional upgrade for $26 (per person) includes a tour and tasting at Castello di Amorosa, while the “Vineyards by Horseback” optional upgrade for $120 (per person) includes a guided 90-minute horseback ride and tasting at Chalk Hill Estate Vineyards. Northstar California Resort, Truckee: The resort — home to the 28th Annual Lake Tahoe Autumn Food and Wine Festival (Sept. 6-8) – is offering the “Summer Escape Package” starting at $135 per person per night through most of September (20 percent off a two night stay and up to 35 percent off of a four night stay). The Ritz-Carlton Lake Tahoe: The hotel will host various wine immersion experiences during the 28th Annual Lake Tahoe Autumn Food and Wine Festival (Sept. 6-8), such as the Winemaker for a Day seminar on Sept. 7 ($120 per person), where guests can learn how to blend their own bottle of wine to take home. That day the hotel will also host a Tahoe Long Table Harvest Dinner ($125 per person) featuring a family-style, sustainable harvest with wine pairings. Casa Bella Verde, El Dorado Hills: Throughout September enjoy a luxury wine country package at this beautiful 1,500 square-foot home with 180-degree mountain and lake views. Starting at $970, the package includes a two-, three- or four-night stay, a relaxing couple’s massage followed by a chardonnay grape sorbet, complementary wine, cheese, fruit and chocolate gift basket, free passes to many local wineries and more. “Sip and Stay” Weekends, Folsom/Sierra Foothills: During September stay at a participating hotel offering the “Sip and Stay” weekend package, starting at $99, and get bottle of local wine and VIP treatment while visiting with winemakers at Sierra Foothill wineries. Blend outstanding wine with a four-course chef-prepared lunch on an outside vineyard terrace. Adelaide Inn, Paso Robles: The “Wine Tour and Tasting Package” starts at $319 per couple and includes one night in an executive king guestroom, a four-hour Wine Wrangler Adventure Wine Tour, a deli-style picnic lunch, a Paso Robles wine map and discounts on wine purchases and merchandise. Deetours of Santa Barbara, Inc., Santa Barbara: Starting at $135, the six-hour “Wine Country Adventure” lets wine lovers tour wine country by a red Jeep Limo or red Jeep. Tour begins with a city tour of downtown Santa Barbara and heads the scenic route to Santa Ynez Valley, where guests can taste at several wineries, enjoy an organic picnic lunch, olive oil/vinegar tasting and a stop in the Danish community of Solvang. Fess Parker Wine Country Inn & Spa, Los Olivos: The “California Wine Month Package” starts at $395 a night and includes luxury accommodations for two featuring a gas fireplace, a full breakfast people each morning, complimentary wine tasting at the Parker tasting rooms and a bottle of Fess Parker wine. Use reference CALIFWINE when booking. First Crush Wine Experience Hotel Packages, Paso Robles: Sip, blend and stay in Paso Robles wine country with First Crush Wine Experience’s Harvest Tour de Vin Sept. 22-24. Get a VIP education while meeting growers and winemakers at wineries like Tablas Creek, Robert Hall, Roxo Port Cellars and more. Enjoy a cooking demonstration at Cass Winery, picnic lunch at Halter Ranch, winemaker dinner at Pomar Junction, cheese pairings and more. Get up to 50 percent off a two-night stay with participating hotels, such as Paso Robles La Quinta Inn ($456.50 per person – offer expires Sept. 9), Black Oak Best Western ($444.50 per person – offer expires Sept. 13) and Atascadero Holiday Inn Express ($445.50 per person – offer expires Sept. 11). Four Seasons Resort The Biltmore Santa Barbara: The “Private Reserve Tour” starts with an educational walk through Sunstone Winery’s organic vineyards and winery with acclaimed winemaker Nick de Luca, followed by a five-course, farm-to-table style gourmet lunch with wine pairing in their unique barrel-aging cave. Guests also blend their own bottle of wine to take home. The overnight package starts $890 for two people, including roundtrip transportation from the resort. Flying Flags RV Resort, Santa Barbara: Sip and stay in Santa Barbara wine country this September with the “Vintage Wines & Trailers” package, starting at $499 for two, featuring two nights in a fully furnished Airstream trailer and a half-day wine tasting adventure tour. Also get souvenir T-Shirts, free coffee and fresh Solvang Danish and a S ’mores campfire kit. Holiday Inn Express and Grapeline Wine Tours, Paso Robles: The hotel’s “Paso Robles Wine Tour Package,” starting at $324, includes an overnight stay in a deluxe room for two, hot breakfast each morning, and Grapeline Wine Tours’ Vineyard Picnic Tour, featuring wine tasting flights at four Paso Robles wineries, gourmet picnic lunch provided by Odyssey World Cafe, and a behind-the-scenes vintner’s tour. La Bellasera Hotel & Suites, Paso Robles: The “Luxury Wine Tour Package” starts at $459 and includes a full-day VIP tasting tour with a picnic lunch, followed by overnight accommodations in a deluxe king whirlpool room and complimentary breakfast at Enoteca Restaurant & Bar. The “Bike Tour and Wine Tasting Package” starts at $487 and includes a full day biking tour to various wineries, winery picnic lunch, dinner at Enoteca ($50 certificate) and one night in an executive king room. Madonna Inn, San Luis Obispo: The “Sip & Zip Package” includes overnight stay at one of the hotel’s famous themed rooms, along with a ziplining adventure tour for two with Margarita Adventures and wine tasting at Ancient Peaks Winery. The package starts at $366.68 and includes two picnic lunches from the Madonna Inn Gourmet and Wine Shop. Paso Robles Inn, Paso Robles: The “Paso Robles Wine Country Hot Air Balloon and Wine Tour Package” gives wine lovers the chance to explore wine country two ways — with a serene balloon ride over rolling vineyard-filled hills and a Hummer wine tasting tour at several wineries. Starting at $1648, the package includes two nights two in a deluxe spa room with a private mineral springs hot tub, a $75 credit towards dinner at the Inn’s Steakhouse restaurant, a hot air balloon ride, tastings, tour transportation and breakfast at a local Paso Robles café. Radisson Hotel, Santa Maria Valley: The “Radisson Wine Tour Package” starts at $349 and includes a one night stay for two, plus a guided wine country tour to several wineries, vineyard picnic lunch and more. Santa Barbara Adventure Company, Santa Barbara: The “Cupcake & Wine Tour” features a delicious sampling of wine-infused cupcakes from Santa Ynez’s Enjoy Cupcakes. This month get a discounted rate of $119 per person for groups of six or more booking together. Fees include round trip transportation to Santa Ynez, tastings at three leading wineries, cupcakes, deli lunch, and in-depth discussion on winemaking. The “Wine Country by Bike Tour” give guests the chance to cycle 10-12 miles of scenic vineyards and ranchlands, plus tastings at three local wineries, deli lunch and more. This tour is available at the discounted rate of $149 per person for groups of four or more booking together. SeaCrest OceanFront Hotel, Pismo Beach: The “Edna Valley Wine Tour” package starts at $441 and includes one night in an ocean view king or coastal view two-queen guestroom, wine tasting at several wineries with Breakaway Tours, gourmet lunch and more. Sunset SAVOR the Central Coast Getaways, San Luis Obispo County: Take advantage of exclusive lodging and ticket packages with Sunset SAVOR the Central Coast, the premier food and wine event on the West Coast (Sept. 26-29), featuring farm-to-table chef demonstrations from over 30 chefs and award-winning wines from over 80 local vineyards. Wine Valley Inn & Cottages and Grapeline Wine Tours, Santa Barbara: The “Grapeline Vineyard Picnic Tour Package” starts at $309 and includes a Grapeline Vineyard Picnic Tour for two, a chateau standard room, and a bottle of wine from Briddlewood. Shore Hotel, Santa Monica: The “Girlfriends Getaway package” starts at $799 and includes overnight accommodations at this oceanfront property, two glasses of champagne upon arrival, Malibu Discover Tour’s wine tour for two including lunch and two mini-facials at holistic Tikkun Spa. California Wine Month Hotel Packages, Temecula: Several Temecula Valley wine country hotels are offering unique Sip + Stay Packages, Sip, Stay & Ride Packages and CRUSH Event Tickets + Stay Packages to help celebrate California Wine Month in style, with prices ranging from $179-$499. Packages include a September Sip Passport, which includes a full tasting flight at any four participating wineries (tickets cost $35, valued at $60-80). 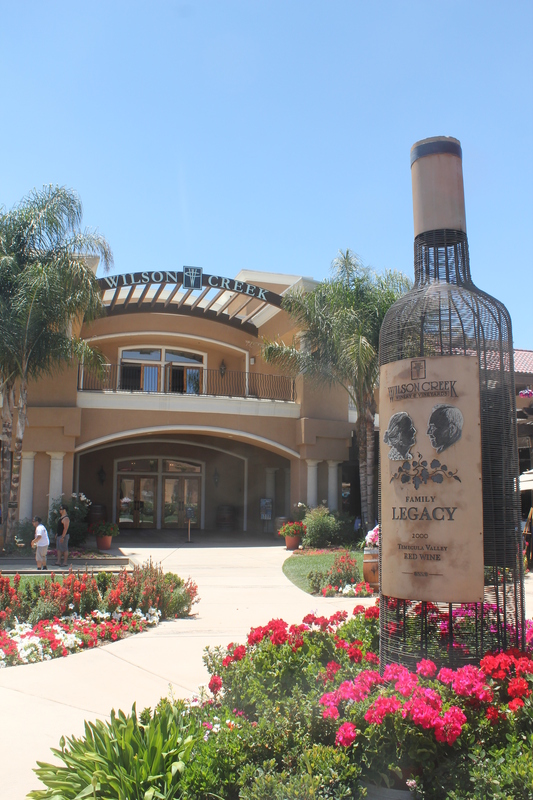 Some packages include tickets to the 4th Annual CRUSH Gala on Sept. 14 at Callaway Winery, featuring 35 Temecula Valley wineries, fine cuisine from 18 local chefs, farms and restaurants and live entertainment ($75). Wine lovers can include in their package a Grapeline Wine Tour SIP & Ride Experience, starting at $89 and including wine tasting flights at four Temecula wineries. 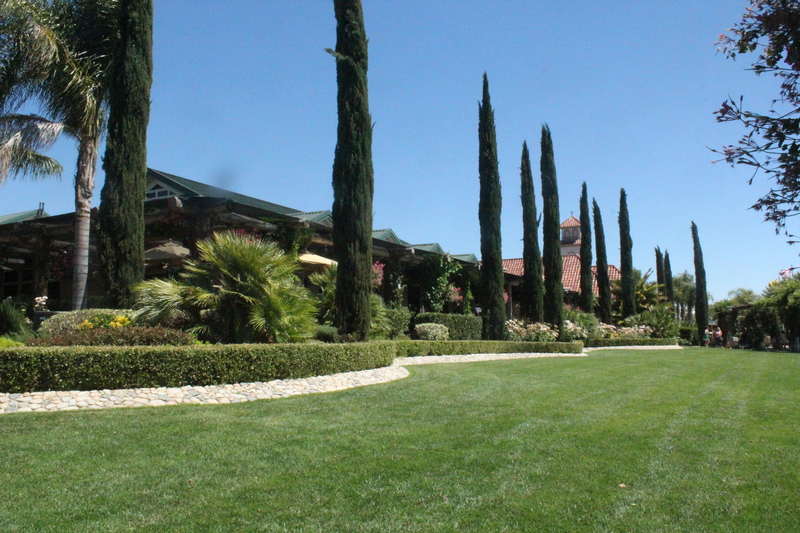 South Coast Winery Resort & Spa, Temecula: California’s State Winery of the Year is celebrating California Wine Month with a special “ALL VIN-clusive” Southern California Wine Country Getaway package. Starting at $299, the package includes luxury overnight accommodations in a private tower suite set amongst the vineyards, bottle of wine, intimate couples’ massage at GrapeSeed Spa, Mimosa breakfast, wine tasting privileges, $50 resort credit and more. Mention Code VINCLU when booking. Island Hotel, Newport Beach: The “Sip & Stay” package starts at $295 a night and celebrates California wines this month with a California Coastal inspired dinner for two at Palm Terrace Restaurant paired with two California wine tasting flights. La Casa del Camino, Laguna Beach: Stay in a uniquely designed surf suite or a deluxe Spanish-style guestroom and enjoy a four-course California wine dinner for two at K’ya Bistro Bar, complimentary full American breakfast and complimentary beach service. The “California Wine Package” starts at $370 per night when you use booking code: California Wine and includes complimentary valet parking. Estancia La Jolla Hotel & Spa, San Diego: The “Napa Meets La Jolla Package” starts at $234 a night and includes a complimentary room upgrade (based upon availability) and flight of four wines for up to two guests at our new Trinitas Cellars Wine Bar. LeeLin Llama Treks, San Diego County: The unique “Menghini Winery Trek Tour” costs $95 and includes a four-mile trek through wine country with llamas carrying supplies and equipment. Tour includes wine tasting and picnicking with a bottle of wine in the shade of the winery’s apple trees. W San Diego, San Diego: The “California Wine Tour Package” starts at $229 a night for two and includes a virtual California wines trip through California, featuring five tastings from diverse regions , plus a comp bottle to take back to their room, with no corkage fee. Each week in September, the hotel will feature California wine specials by the glass and by the bottle. This post was collected by Visit California, a site dedicated to California Tourism. September is a GREAT month to visit California, and hope one of these packages work for you. What a great list–wish I had enough time & money to go to each of them!